Wind in the Willows is a purpose built, beautifully decorated, Shepherd’s Hut to sleep 2 and two small dogs (or one medium sized). It is perfectly located for walking and cycling, near beaches and woods; this quiet corner of North East Norfolk is a real hideaway, yet only 2 miles from the market town of Stalham and with the Weavers Way footpath running through the village just yards away from the hut. Outside: The paddock is set in open countryside, adjacent to working farms and nearby there are kennels and views across the fields to the Weavers Way for safe, easy walking. There is an enclosed grass area, vegetables and flower gardens, some delightful planting schemes and a small, shallow pond. The seating outside and a table and chairs are perfect for your meals alfresco. In the local small town of Stalham there are plenty of independent shops, including Truly Local, a not for profit shop selling items from within a 35 mile radius. They would be pleased to put together a box of groceries for your arrival. NEW FOR 2018 – BOOK 3 NIGHTS and GET A FOURTH NIGHT FOR FREE! For detailed driving directions from your location enter your postcode into the box and click ‘Go’. Or – From Stalham. From the A149 which bypasses Stalham take the road signposted to Bacton/Happisburgh (Stepping Stone Lane). Turn left onto the B1159 and take the first left again, just after SAM business premises. Stay on this small, tree lined road until you come out into open farmland. Bristows Farmhouse where Wind In The Willows is located will be the second property on the right hand side. The perfect getaway… Absolutely everything we needed to make our stay special. A wonderful quaint little kitchen and a beautifully decorated cosy shepherds hut. Just in the perfect location, with stunning views all around. Such a warm and cosy hut even at the coldest and windiest times! Lovely walks and beaches to be seen and made our time here even more lovely. Such a relaxing weekend away. Thank you very much Susan and Craig. And I think to myself what a wonderful world! We have visited Norfolk many times and explored some of the many walk ways and nature reserves. This has to be one of the loveliest place to be, it is so untouched and beautiful and takes my breath away, I only hope our holiday will never end. What a fabulous little place Norfolk is, my favourite location to be and Wind In The Willows was the perfect choice of accommodation. The shepherds hut is beautiful and everything has been thought out so well! Who would've thought we would be so warm in the winter time, even in the snow! It was just amazing! Thank you so much Susan and Craig! We enjoyed a lovely, relaxing weekend here. The hut is wonderfully cosy and Sue was very helpful. Also Sue and Craig recommended a meal at The Star Inn at Lessingham and we were not disappointed! What a wonderful and simple retreat. The chance to relax and unwind. Very cosy accommodation, slept very well. Craig and Sue were very welcoming and knowledgeable. Explored lots of dog friendly beaches and cafes. Great fish and chips in Bacton, delicious food at the Pigs in Edgefield. We will definitely be back again next year! Thank you from the bottom of our hearts for a fantastic weekend, great accommodation and the flapjacks and flowers were a lovely touch, we’ll be back! We love it here! ‘Wind in the Willows’ is a perfect haven to unwind. So much to do in the area, I would recommend boating on the broads and a visit to the seal colony at Horsey. Also recommend a meal at the Star Inn Lessingham – superb. Best of all are the miles and miles of beautiful empty beaches, we’ll be back! I’m back!.. and I know that I will definitely return again, absolutely beautiful. Thank you. Extraordinary little place! So much character all shoved into such a small space. We loved every minute of being here. Christlike hospitality from Craig and Sue, everything we needed was provided, many thanks. We were looking for a country retreat to get away from everyday life, and this is exactly what we received at the Wind in the Willows. The hut is beautiful and there is plenty to do in the local area. We were greeted with some very tasty flapjacks and the hosts Susan and Craig were very welcoming and friendly. We had a wonderful time here and we would love to return one if the opportunity arises. Thank you. What a wonderful weekend away! We were really pleased with the hut, very comfortable indeed. The area was full of interesting things to do and the suggested beaches and pubs from the owners proved to be excellent. Our dogs enjoyed weavers way and the beach at Mundesely. The welcome flapjack was much appreciated. Many thanks! What a wonderful place to stay! We have thoroughly enjoyed our visit and are hoping to return at some point this summer too. The caravan is perfectly equipped for what you may need and the bed is very comfortable. It is also in a perfect location to explore Norfolk, the maps are a great addition to the caravan! 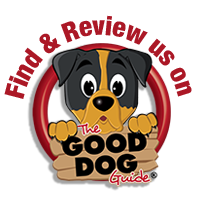 Thank you for your kind hospitality and advice on local dog friendly places to eat. We loved it! Thank you, fully catered for and lovely and snug in the hut. Boys loved the garden and it was a great place for mum and daughter quality time! We will definitely be back again next year. Great place for a few days break away from the rat race. Very comfortable stay in The Wind in the Willows. Everything we could have wished for was there! Thank you very much. We’ve really enjoyed our stay in the Wind in the Willows. We loved the chickens and waking up to a deer in the garden! we’ve been around England on holiday but this is a one off because its just you surrounded by birds singing and green fields – also having facilities all to yourself is a bonus! While we were here we enjoyed a couple of visits to Horsey to see the seals – AMAZING! We’ve also visited the old vicarage gardens which were lovely. We had a lovely meal in the Nelsons Head (Horsey) and a good bar meal locally at The Butchers Arms! Thank you very much for a lovely stay. A little slice of heaven! A wonderful warm welcome when we arrived, all essentials catered for, thank you! We could not ask for a better place to spend our weekend break, truly well designed, superbly equipped and oh so dog friendly. So much to do and see in this immediate area. Thank you so much Craig and Sue, you are superb hosts! Best wishes. Well – what a wonderful few days. Everything seemed to be just for me. Enclosed garden, chickens to wonder at and all these beautiful country sounds. What more could I ask for – oh yes my parents enjoyed the cosy accommodation and a lovely warm welcome! Many thanks to Susan and Craig for our wonderful and cosy stay in Wind in the Willows. Our favourite place to be was Horsey beach (seals everywhere! ), Sheringham park was also great with local fish and chips! We would definitely love to come and stay here again, warmest regards. Our second stay a the wonderful place, an idyllic retreat in an otherwise busy world. This time we bought Daisy the jack russell who barked a lot and sniffed everywhere and everything! We have had a wonderful time; seals at Horsey – hundreds of them! When I came to this area over 40 years ago you would have been lucky to see one! We also watched the rugby, England beat Argentina! Which we washed down with some excellent wherry! Lovely fruit cake, we look forward to returning soon! Many thanks to Susan and Craig for our wondeful and cosy stay in Wind In The Willows. Especially Craigs warm welcome in torrential rain! Apart from a shock Trump victory we still managed to enjoy our time here. Our favourite being Horsey beach (seal colony), Sheringham Park and great local fish and chips. We would love to stay here again. Warmest regards. PS Thank you for the great flapjacks. Thank you for a lovely couple of days - we've been far and wide. Bacton Woods are gorgeous in the early morning sun! Happisburgh and Winterton are our favourite beaches. Wind In The Willows is delightful thanks to Craig and Sue. We'll be back for sure. Carole, Amy and Sadie woof woof! I knew as soon as we arrived and met Craig that we were in for a fab time! The Shepherds Hut is just wonderful with everything you need to be comfortable. It is so beautiful I am trying to convince Tim we need one in the garden. The setting is idyllic. Jarv (our Spaniel) thought so too with his own garden where he could sit and watch the birds! This is our first time to Norfolk but not our last! Fantastic beach, walks and weather! Thank you to Craig for giving us the low down on the great pubs and walks - Also for the flapjacks and milk! We will be back - With lots of thanks. .We so wish we had booked for longer! We have so enjoyed being without the TV and the internet! Thank you Susan and Craig - I have at last realised a dream to stay in Wind In The Willows. Perfect! I have been so comfortable here with everything to hand, clever use of space and all mod cons as well. I have not used the kitchen this time as my friend is staying in Badgers Retreat so I have had the best of both. I have loved being back in my favourite part of Norfolk, seeing skies, beaches and lovely people again. I look forward to next time. This is Sid and I's third visit to Wind In The Willows and the weather has been kind. We love the walks (Sid is a fit Lab). Thanks Sue and Craig, its a great place to stay. We have had a fabulous time celebrating our 5th wedding anniversary. Amazing weather, lovely facilities here at Wind In The Willows, Tessa our dog has loved the garden and alsoo the lovely ginger cat who Tessa liked alot! Everything you could ever want here - you have thought of everything. Thank you Susan and Craig for a great stay - we havent done half the things we wanted to do because there is so much to do here so we will definitely be back!! It was our first visit to Norfolk and we love it!! Thanks again. A short, but perfect weekend stay. Weather was perfect, loved it. Thank you. A wonderful time here for our 15th wedding anniversary. Didnt realise Weavers Way was so close - what a bonus! Gunton Arms great for a special meal. Pricey, but great food and in a really special place set in a deer park! Smallsticks Cafe at Cart Gap great for good simple food at a decent price and The Kings Head (Fleggburgh) is amazing for food. Loads of dog friendly beaches and swimming at Sea Palling was wonderful (thanks to Susan for the swimwear loan). We will definitely return! Thanks Susan and Craig for the warm welcome, interesting chats and I thoroughly enjoyed borrowing the bike and heading off to the beach or the Vicarage Gardens. Thank you. Really enjoyed our stay again! Thank you so much. What a fantatic and unique place to stay. Thank you so much. Thank you Susan and Craig for such a warm welcome and your tips and recommendations. We've really enjoyed exploring the local area and are already making plans to return soon. Thank you also for helping us out when the weather took a bad turn. Its very much appreciated. We've so enjoyed our stay in your beautiful hut in this lovely part of the world. Thank you. A lovely place, very tranquil and friendly to spend our 40th wedding anniversary. There were so many reminders of happy days we had spent camping with our family. The Shepherds Hut was lovely - fantastically fitted out - so much storage cleverly fitted in. We love the beautiful window lights and how they lit up at sunrise. Craig and Sue were amazingly thoughtful with their guidance and provision - The only thing missing was our dog! Thank you. Thank you for our wonderfully relaxing few days in your extremely pretty and unique 'Wind In The Willows'. We and our border collie have loved it and don't want to return home today. Thank you also for our delicious 'welcome' - home made flapjacks. Perfect in every way. Gracias! We had a nice and restful couple of nights at your very nice hut, a true piece of craftsmanship...all that was needed in the small space. We have really enjoyed our short stay in your idyllic, clean and cosy Shepherds Hut. Many thanks for making us feel so welcome and showing us the local pubs. Came away for our daughters first birthday (with our dog). Lovely place where she could play in the garden with the dog and just had to watch her on the stairs. Perfectly fitted out with everything we needed. Missed Susan and Craig as they were on holiday - we'll have to come again. We have had a lovely stay here in your unique and beautiful Shepherds Hut. Everything we needed is here and it made a fantastic short break. Our little 'tripod' dog Sapphie particularly liked being up high and enjoyed the view. Craig was very welcoming on arrival and it was lovely to meet Sue before we left. Thank you, looking forward to coming back. Tom and Katie spent a lovely week here and had an incredible time. Boating on the Broads and cycling to the coast were great and having breakfast in the sun was perfect. We would love to come back. Thank you so much for accomodating us Craig! We had a lovely stay - our usual haunts - Cart Gap beach and 'Smallsticks' Cafe, with the added bonus of the boat arrival! We love the Shepherds Hut! We will be back again soon! Thanks for a wonderful stay, everything we could possibly need for a relaxing stay. Excellent walks on the doorstep and easy reach to some fabulous beaches. Barney loved the dog beach at Sea Palling. Nice meal at the Butchers Arms and Hill House Inn. Both places welcome dogs. Would like to come again. We have already recommended it to a friend. The chocolate slices were absolutely delicious. Thank you for a very warm welcome to Wind In The Willows. The flapjacks were wonderful. A very pleasant stay in this very characterful Shepherds Hut. Very stylish and contains all you need, We had a special welcome from George the cat who was here when we arrived and is inside with us now, warming up on the bed. He loves having his photo taken! He also likes Dreamies but likes them one at a time! Enjoyed our brief stay. Came with family and also had Badgers Retreat. Shared Wind In The Willows, such a cute place. See you again soon. Well, we survived Storm Katie (just about!). The hut held out well against the gales and heavy rain. In between the weather we had a great time seeing seals on the beach at Horsey and a delicious Easter Sunday lunch at the Mermaids Slipper in Stalham (if you phone ahead and say you have a dog, they will arrange a space so your dog can stay with you). Thank you for the yummy flapjacks. We have had a very relaxing and chilled break. Wind In The Willows was very unique and had everything we needed for our stay. Craig and Sue were wonderful hosts. The flapjack and flowers were a very nice touch. A 5 * stay!!! Thank you so much for having me and my little pug, Marley to stay. This has been the puppys 'first' holiday and it has been amazing - definitely one to remember. We have felt extremely comfortable and welcome throughout our long weekend break. The WInd in the Willows is a unique and beautiful location with everything we needed to escape. If I have the opportunity to stay here again I definitely will!! Seeing in the New Year in style in Wind in the Willows shepherds hut. Playing games, drinking champers and listening to Radio Norfolk. Thank you for the delicious flapjacks and the beautiful caravan. Saw seal pups at Horsey (amazing) and had a delicious meal at The Star Inn. Happy New Year. We had a wonderful stay - Everything we needed was here. So much thought into making our stay comfortable and relaxing. Hattie our dog, soon made herself at home, as did we. After doing our duty as volunteer seal wardens at Horsey, it was like coming home to rest and relax. Thank you so much for our mini holiday. We will be back !!! I hope you will have us back! Booked this for a surprise for mum before travelling to Australia. We had a lovely time exploring the surrounding area. The highlight was seeing the seals at Horsey. The shepherds hut was everything we needed. Lovely and cosy. Just what we wanted! Thank you very much. Hope to be back one day. What a great hidey hole! We love the cosiness of the hut! We could hear the rain doing the River Dance on the roof last night whilst we were tucked up safe and sound in our little bed. We woke to the sound of the ducks laughing at each others jokes in the morning. It really made us laugh. Thank you for such a lovely welcome Craig and to Sue for all your support on the telephone before we arrived. The flapjacks were a welcome treat. Such a lovely place to unwind and put the world back in perspective. We look forward to our next visit in the spring to recharge our batteries. Thank you very much. Booked this for birthday present for my partner. He loves camping but with a birthday in November, its a bit late in the year for that! We had a wonderful, relaxing time in the hut - even with the weather not on our side, the heater kept us warm. Would love to return in the summer so we can explore the countryside more. Thank you for such a wonderful stay! We had a marvellous time in the hut! Unbelieveably warm for mid-November. Had our breakfast outside this morning. Its so warm I thought it was October!!! We will definitely be back to stay in such a lovely hut in wonderful countryside. Had a great 2 days seal wardening at Horsey Grey Seal Colony. Now its back to the reality of work for a few more weeks. Then we will be back to stay in Badgers Retreat for a week just before Christmas for some more seal warden duty. Hattie especially liked the garden and freedom to be off lead – at least for a short time. We packed a lot in to the few days we were here in the same way that you have packed so much in, so cleverly to Wind In The Willows. Sea Palling. Happisburgh – great Sunday lunch at The Star Inn at Lessingham. Horsey Mere – walk, beach and seals. The clocks changed so walks finished quite early but cosy in the 'hut'. Dog proof garden much appreciated. A third fantastic visit in 2 months thanks to a needy dog! It is so interesting how autumn has progressed from fruit to fallen leaves and from harvesting to ploughing. So lovely to be close to this beautiful season of the year. I have enjoyed the company of a wren this time and watched a long skeen of geese flying in from the sea to Happisburgh. Thank you once again Susan, Craig and your family (including Poppy) for your welcome again – almost like coming home this time. This place is a gem, but so is Norfolk – a corner of England I so often bypass on my way north. I will no doubt be back again. Thank you for a fabulous long weekend break. Just what we needed – a peaceful holiday, woken up by birds chirping and fresh country air. Thank you once again Susan and Craig for your hospitality and the flapjacks. Lovely stay in a beautiful area. Really comfortable and didnt want to leave! Highlight was watching the seals at Winterton. Thank you both for such a special holiday. Such a lovely place to stay. Glad that we found it, thank you for having us here – we would like to come again. Myself, my 9 year old son Harry and dog Pete, had 3 wonderful days here. Weather beautiful. Craig and Sue were fantastic lots of information given about the local area and beaches. The hut was so so so comfortable and everything you need is here and so well thought out. Bringing Pete here was great – enclosed garden and walks all around. All the beaches we went to were dog friendly. We went to Happisburgh beach and actually swam in the sea with a seal. We drove to Horsey. The beach was gorgeous – white sands and if you park in the car park you can walk 20 minutes to an area with lots of seals – we saw a seal pup on the beach and 20 or more seals swimming right next to the beach. National Trust wind pump just up the road from Horsey with wildlife boat trip. Winterton on Sea also has excellent white sand beach which stretches miles. Car park present and Dune Cafe which serves breakers from 8.30am. We needed so much longer to explore. We will return, didnt want to leave. Thank you Craig and Susan for being available when needed. Nothing too much trouble. Billy (staffie x) and I hve had a wonderful time here – wonderful quiet place with everything to hand. Cosy hut, lovely garden and symphony of natural sound – wind in the trees, birds, rain on the roof, poultry about their own business. Lots of sunshine, so many different walks – we loved the Weavers Way, the cliffs at Happisburgh, sea with huge breakers, field paths and woods. Billy especially loved having his own garden to potter around in and a gate where he could lie and watch the world go by and get the odd cuddle. Craig is a great host – helpful and friendly. The flapjacks were gorgeous, the doggy treats from Neros Kitchen (brought by Sue) were obviously a highlight for any dog. Thank you for our great stay at Wind In The Willows – I cannot recommend it too highly for a break to refresh body and soul, whether human or canine. Thank you Norfolk for welcoming dogs – Essex has a lot to learn from you. I hope I’ll be back. A really lovely place to stay, everything we needed was here. Such a pretty, cosy hut and we were very lucky to have the sun and sit out and enjoy the garden and breakfast outside. Thank you for the flapjacks and card. The dogs have enjoyed themselves especially the lovely walk along Weavers Way to the Butchers Arms where we (humans) enjoyed a couple of beers buying locally made jams and marmalade on the way back. Hope to come back again one day. A second lovely stay at the cosy hut. Saw seals near Horsey (150 on beach). Great walk Horsey to Winterton through the dunes / on beach / heather path. So many choices. Hired boat from near Pleasure Boat Inn – good location for a drink. We'll be back for more. Love the set up here – home from home. We've had a wonderful few days – such peaceful surroundings and beautiful weather. The lack of mobile signal was a bonus as it meant we really could escape normality for a few days and Naomi wasn't constantly distracted by texts from her boyfriend. The hut is very cosy and the attention to detail is outstanding. We saw some interesting wildlife, in particular a family of red deer close up and a marsh harrier over Hickling Broad. Its a great base to explore the Broads and the coastline from. Thank you. Absolutely loved our stay here – thank you for letting us share your beautiful home! Very well equipped. Superb garden with lovely features. Want to recommend it but want to keep it a 'secret' at the same time – just in case we cant get in. So looking forward to our stay in 'Wind in the Willows' next weekend. Thanks Susan and Craig for being so helpful too. A lovely week with my chocolate labrador Sid. Craig and Sue have thought of everything for such a cosy place. Loved Weavers Way, great walking, Sid loved it. We will be back. Thank you so much for making our honeymoon so magical. We couldnt have asked for anything more – even the weather held out for us! The whole place is just beautiful and we will definitely be returning even our boys enjoyed themselves! Cant recommend the Ingham Swan enough! Beautiful food! Thanks again. Coming from a house of technology it was back to the good life, a time to recoup. Having Cassie, who is the spitting image of a sheep, it didn't take much imagination. She was perfectly at home and relaxed, we all loved it. We all had a lovely weekend break. Wind In The Willows is unique and we had everything we needed and more. Best wishes. They say the 'best things' come in small packages and thats certainly true of Wind In The Willows. Beautiful accommodation and everything required to make your stay as comfortable as possible. Great beaches for sunny days, excellent walks along Weavers Way with the dogs – another stay is a must!!! Thanks guys. Journey was long but the welcome was warm. The Gypsy Caravan is an inspiration. So comfortable. Will remember this break for many years to come. Regards and many thanks for your generosity. What a lovely place you have created. We feel lucky to have found 'Wind in the Willows' and are amazed how perfect and comfortable you have made it. Attention to detail is very impressive and we were lucky to have Craig nearby when our dog was stung by a wasp – he was a great help and gave directions to the vets who were really good,. Thank you for creating such an adorable place – A real pleasure. We will be back and will send our friends and family. Much love. Had a great 4 days - Loved it! Even the dogs! Thanks. Superb getaway weekend. Grey skies and frequent rain just made the accomodation even more snug and welcoming. The whole family enjoyed it. Susans flapjacks were also fab – and no Susan, you didnt put too much sugar in them! Cheers all and take care. Thank you for the warmth of your welcome and hospitality. We have had a wonderful stay – especially waking up to streams of fresh air and sunshine. You've created a delightful retreat that we'd love to return to. Thanks a million. Thank you to Craig and Sue for letting us enjoy all the hard work you have put into creating this holiday retreat. Its so lovely to be able to bring our dogs with us and not feel unwelcome in any way. You have put a lot of thought into the contents of the hut as there was nothing we needed to add (its so nice not to have a TV in the corner). Craig has been very helpful and we have enjoyed our chats with him. We would recommend Wind in the Willows to anyone who wants a relaxing break. We hope to return and stay with our 2 dogs Monty and Harvey again some day. A 'magical' stay – sitting in the little house with a glass of wine looking out over the fields – even with grey clouds it doesn't get much better! Loved every minute. See you again. Our couple of days away have been a perfect break and de-stress from work! The weather was good, and we really enjoyed visiting the lighthouse, Cromer and walking Weavers Way. Dexter (our dog) had an amazing time and enjoyed sleeping in his own 'hut' under the bed. Thanks guys. Total bliss! We found it hard to get going on our first day as it was so lovely having breakfast outside listening to the birds. Scrumpy loved boogling about in the garden. Fantastic having the Weavers Way so close and very easy to walk into Stalham. The hut was so very comfortable and cosy we had a fab couple of nights. Thank you. So enjoyed our break here with our two dogs. Mr Nibbles has had many breaks but Polly our spaniel was always very nervous, but so enjoyed herself here. Love the hut. My husband did not believe me when I booked but thought it so lovely and romantic. We married last August and so wish I had known of this little gem then. Anyway, we shall be back shortly. Thank you so much – wonderful place Craig and Susan. Our long trek from Canada, France and Spain was worth every kilometre to experience 'Wind In The Willows'. Alas we must leave today and we all take the fondest memories with us. Preston (our Aussie shepherd) loves the garden and took great delight in visiting his two legged friends. Thanks Susan and Craig, this is merely 'au revoir - we shall return! Lovely short break at Wind In The Willows. Wonderful walks along the Weavers Way and nearby beaches. Walked around Horsey Mill and saw the seals on the beach! A cosy hideaway in north Norfolk. Would recommend the Star Inn for food in the evening. A perfect weekend break. We really couldn’t of asked for more. Sunshine, beautiful walks and the most relaxing place to stay! Thank you so much, we will be returning! Idyllic weekend away! Fabulous accommodation and setting. Dora had an amazing time here. Lots of lovely beaches and walks, and thoroughly spoilt at the Butchers Arms! Thank you for making us feel so very welcome. Thank you so much for a wonderful break at Wind in the Willows. We were quiet taken back at such a fabulous place the minute we arrived. After a long and tiring journey the stress just seemed to melt away the minute Craig showed us around. The attention to detail is absolutely amazing – so much so Karl is now considering one for our own back garden! We really have had such a relaxing, peaceful break – we wish we had booked for longer! We hope to see you again soon. Had a great time, really lovely retreat. Dog thoroughly enjoyed himself. Hosts very accommodating and friendly. Wonderful marmalade cake – thank you! Wind in the Willows is the perfect haven. The comfort and attention to detail our second to none. Within 5 minutes of arriving and being greeted by the charming hosts a tranquillity and serenity set in and lasted though out the stay. Lotte and I will definitely return. Thank you so much for the joy you have enabled. Without a doubt it’s the most unique place we have had the pleasure of staying in. The hut has had a fantastic renovation job done on it. Top marks! Thoughtful hosts – thank you for that. Masie loved exploring the garden, at one point she was chewing the feet of the scarecrow! Thank you. The Wind in the Willows is just superlative. My grandfather was a Norfolk shepherd around the early part of the last century and he spent many nights under the roof of such a hut… I suspect nowhere near as comfortable as the Wind in the Willows. We have had a lovely, relaxing weekend, cosy and snug within the walls of what is a little gem here on the east of the county. How lucky are we to have found this! Thank you for allowing us to stay, we would love to return. Thank you Craig and Susan for a perfectly lovely and charming stay here at Wind in the Willows. You have created a wonderful haven of nostalgia and peacefulness. Your attention to details has met all our expectations and we thank you for that. A wonderful and pleasant accommodation set in a lovely and rustic garden. Thank you and we look forward to returning when we need to escape again! Very much enjoyed our stay at 'Wind in the Willows'. The shepherd's hut is very different to Graham's lambing days as a shepherd! Thank you. Had a really good 4 days break at Wind in the Willows. We were made to feel very welcome, great walks in the countryside and jumped in the car to the beach. We spent a week on a boat on the Broads before coming to stay here, so feel nice and chilled. Tessa our little dog has had a ball too. Will definately tell our family and friends. Thanks for everything. 'Wind in the Willows' is adorable. Just what we were looking for - something a little different, in the countryside with lots of peace and quiet. We really relaxed and our dogs had a fab time - so happy being with us and saying hello to the chickens. Many thanks for helping us relax, see you again. Many thanks Craig and Susan for creating this wonderful experience at the Shepherd's Hut. I will carry with me fond memories of my short stay here. I Hope to return some day. We have had a wonderful time here! The amount of work and thought about the small details has made the Wind in the Willows truly special. A great location to explore Norfolk. Craig and Susan were lovely hosts. We have really enjoyed our break and look forward to coming again soon, thank you.